Chamber University features strategic business building educational programming for businesses at every phase of development. Topics include social media, customer service, sales and marketing, human resources and operations, and more. 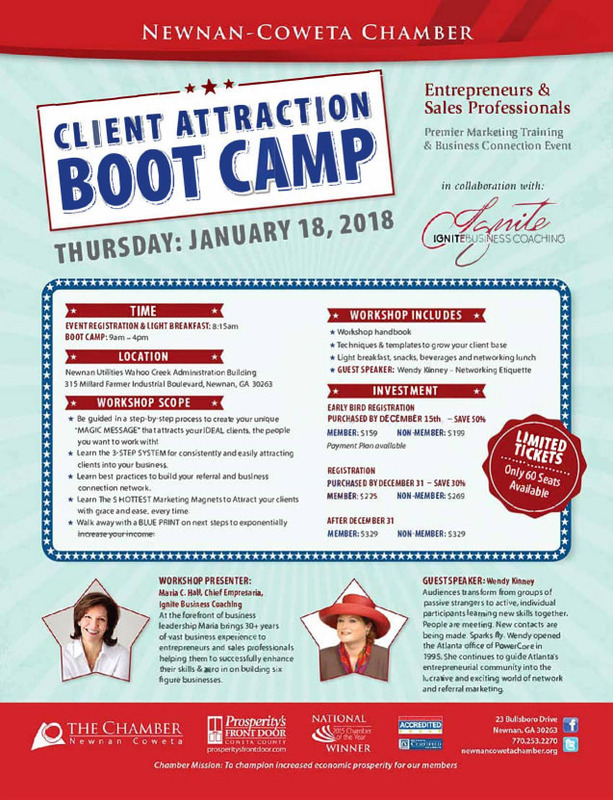 Entrepreneurs and Sales Professionals sign up now for the exciting, Client Attraction Boot Camp hosted by Ignite Business Coaching! This event is for service-based entrepreneurs and sales professionals who are searching for PROVEN client attraction techniques and sales methods for the stage of business they are in that WORK. This workshop is limited to only 60 seats, so sign up now! Click here to register! Register by December 15th and save 50%! Register by December 31st and save 30%! • Learn the step-by-step process to create your unique “MAGIC MESSAGE” that attracts your IDEAL clients, the people you want to work with! • Learn the 3-STEP SYSTEM for consistently and easily attracting clients into your business. • Learn The 5 HOTTEST Marketing Magnets to Attract your clients with grace and ease, every time. • Learn Best Practices to build your referral and business connection network. • Walk away with a BLUE PRINT on next steps to exponentially increase your income. Six Figure Success Club Meetup held first Friday of each month at the Newnan-Coweta Chamber! The purpose of the Six Figure Success Club Meetup is to support, show-case, motivate, educate and inspire entrepreneurs in the Coweta/Fayette/Carroll Counties and beyond. We are focused on building successful solopreneurs - i.e. one-person businesses. Our goal is to help them rapidly grow into successful, profitable 6 figure plus businesses that serve the world and make it a better place. We aim to build businesses that provide the owners the ability to maintain a fulfilling personal life and have a profitable thriving business. 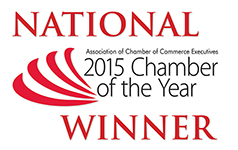 This group meets monthly at The Chamber, 23 Bullsboro Drive, Newnan, Georgia. This group will also arrange special events to provide training and professional development opportunities based on the needs of our 6 Figure Success Entrepreneurial Community.